The City Council Land Use Committee and Zoning Subcommittee today unanimously approved a controversial 21-story commercial building known as the Union Square Tech Training Center. RAL Development is one step closer to a rezoning that will pave the way for a commercial building at 124 East 14th Street on a site that currently holds a P.C. Richards. 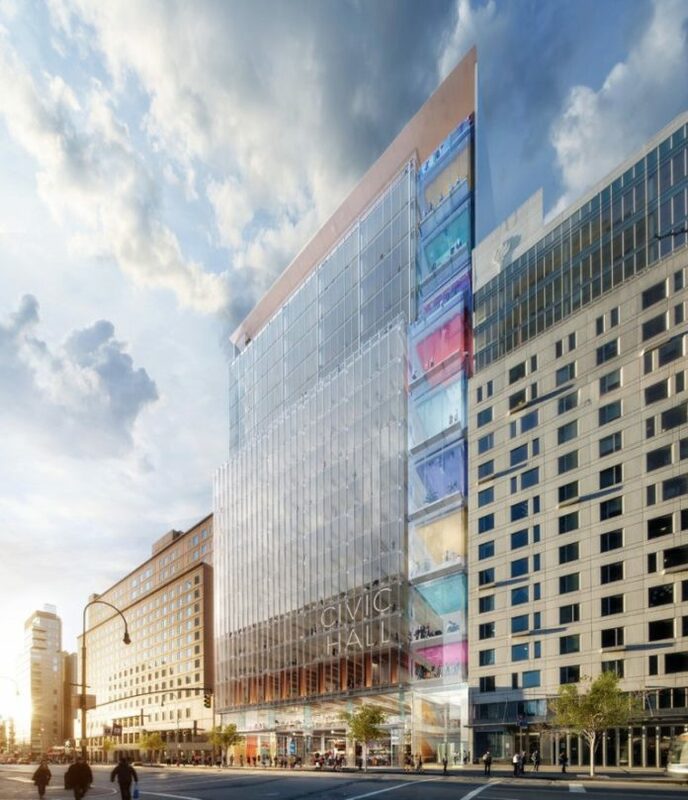 The 240,000-square-foot development will be anchored by tech training nonprofit Civic Hall, which will occupy the fourth through seventh floors with coworking space, and there will be 40,000 square feet on the second through fourth floors for workforce development programs. Civic Hall’s space will be used for coworking, events and meetings with city business leaders, and the 40,000 square feet of classroom space for training programs will be operated by five organizations, including Per Scholas, FedCap, the City University of New York, Mouse and General Assembly. There will also be a ground-floor retail space with food hall. The Tech Training Center and Civic Hall also received a $100,000 grant from Microsoft yesterday to fund workforce training programs, the city announced yesterday. A spokesman for the city’s Economic Development Corporation explained that the pieces of the project are supposed to allow companies to move from the bottom of the complex, where workers are trained to code, then to the coworking space, to the subsidized offices, and then finally to the market-rate portion of the project. Nevertheless, she voted through RAL’s project today. The development heads to the full City Council for a vote on Aug. 8.